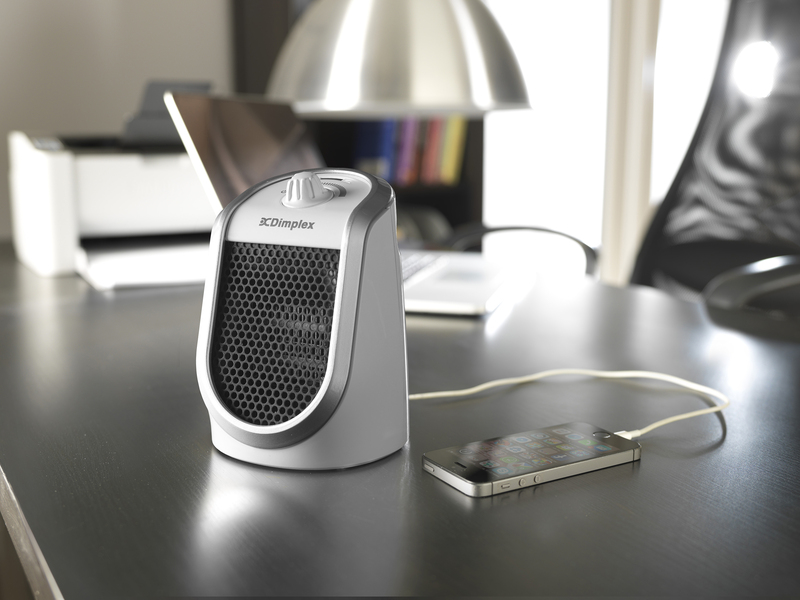 The sun may be beating down outside, but for those who find the arctic blast of the office air-conditioning too much to bear the Dimplex DDF250 Desk Friend, the ultra-portable personal ceramic heater is the answer. The compact Desk Friend ensures you can work in a temperature which suits you – even if the rest of the office is trying to banish the summer heat. Most are familiar with the balancing act trying to get the right temperature that everyone in the office can agree to, and a US survey has confirmed this issue, revealing that 56% office workers were too cold. Dimplex’s Desk Friend is an easy-to-use solution to a much contested debate, providing you a comfortable 250 watt single setting for an instant top-up of personal warmth and designed to not lift and blow your papers across the desk as soon as you turn it on. And if you prefer a bit of warmth on the legs, the Desk Friend’s safety feature automatically switches itself off if accidentally knocked or kicked over. The low wattage also means the Desk Friend is an electric heater that can be safely plugged into an extension cord, something that would not normally be recommended for a portable heater. This innovative gadget also incorporates a handy USB charging port compatible with both smartphones and tablets, ensuring they remain topped up, even during the most demanding of working days. The Desk Friend Ceramic Heater is available from £39.99 ERP. For more details about fan heaters visit www.dimplex.co.uk.